Toussaint Morrison’s latest album is a wild concoction of mixed hip-hop, soul, and R-n-B with a slight hint of jazz and soul music. A very popular recipe in today’s radio waves, it delivers the sweetness of pop music with the right amount of punch that won’t leave your street-cred behind. Morrison comes from the Mill City of Minnesota, and is a hopeless romantic in a world where definitive genres are shrinking. For almost around ten years, Toussaint front manned for live bands until he decided to join Dr. Wylie and together established chart topping sound tracks and hits. Can’t Relive The Party immediately captures your inner dancing jive right from the start. Featuring Morrison’s jazzy voice with musical instruments setting up soul music atmosphere, the song will surely get stuck in your mind with a vivid imagery of you care freely swaying away. Working Class Boyfriend showcases Toussaint’s rapping skills, delivering crystal clear words while still maintaining a fast flowing beat. The human beatbox in the background is also very nice touch that compliments the song. Kid Fresh All Night interrupts the seventeen soundtrack compilation of serious music by playing out this adrenaline inducing mixtape that makes you choose from going home or going beastmode. Lastly, Coffee & Chemo supplies the electronic music requirement that every rap album should have. The lyrics are slow and heavy which makes it the perfect album ender. 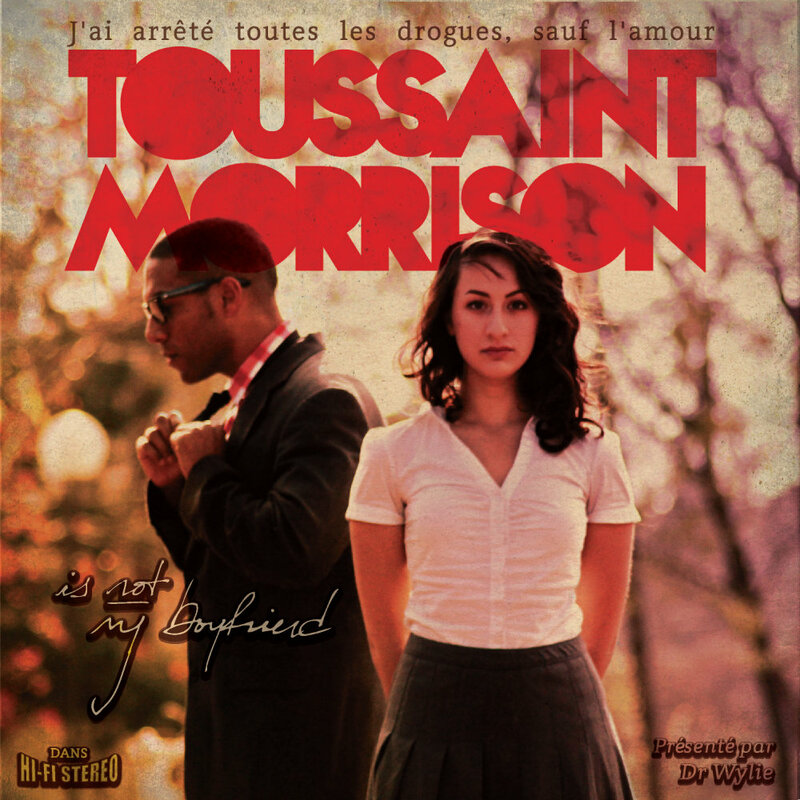 Toussaint Morrison is not my Boyfriend is the first in a series of three albums. This is the largest piece of literary work Morrison has ever done and you can expect more in the following years to come.